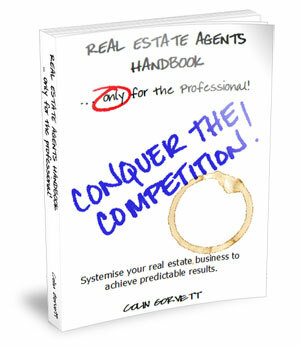 The book for all energetic champions who embrace the exciting career of real estate as a profession. Commit to trading within your chosen career - planning forward and preparing for your future. Tracking your progress month on month through the year, helps you keep yourself on track. 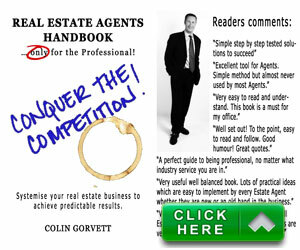 Real Estate Agent Handbook … only for Professionals! is a handbook which drills back down to the basics. While it should certainly guide people who are new to the profession, it is the experienced professionals that when they go off track need to stop and relook their activities from prospecting through presenting and marketing. This book would assist them in quickly identifying areas that need correction or attention. It also encourages professionals to systemise their business because any estate agent working the basics systematically … and effectively… day after day, month on month can expect to achieve predictable results. This book has the answers. The only question is whether you are ready to learn them and enjoy a more fulfilling career? Colin helps estate agents who are struggling to find clients and close sales, by showing them how to use the power of the internet and social media so that they can connect with potential clients that are a perfect match for them, generating new sales and referrals. View the preview sample (Online Reader) complete with table of contents, and several sample pages. Copyright © 2019 Real Estate Agent Handbook. All rights reserved.